Baseball Batter Up Mickey Mouse Figurine. 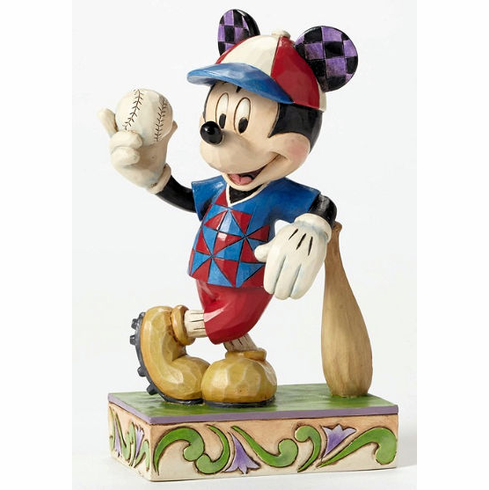 Play ball with Mickey Mouse in this nostalgic tribute to the great game of baseball and fans everywhere, beautifully handcrafted from artistry that is unmistakably Jim Shore. Disney Traditions figurine measures appx. 6" tall.